We're gonna be talking about how to create a network marketing bridge funnel. I'm gonna be showing you how to do this inside click funnels, which is our preferred software for creating any type of sales funnel or sales process. And thank you first off, Russell Brunson, for creating this platform. It's extraordinary, and compared to everything else out there, which our company has been through it all and seen pretty much every platform you can imagine, this hands down is by far, the best. Now, keep in mind if you're going to be making a sales funnel, you can do that inside of WordPress using just a simple theme, like optimized press or visual composer, whatever your preference is. It's just a series of pages. The first thing we're gonna do is there a drop down called funnels. We're gonna go to build a funnel. Secondly, it gives you a range of funnel types. Anything from membership funnels, lead magnets to … and there's bridge funnel right there. To survey funnels, invisible funnels, anything under the sun that you want. So we're gonna select bridge funnel, even though it's a network marketing bridge funnel. This is the type and the flows are gonna be the same. Now the purpose to having a bridge page funnel is when you know you're gonna be sending somebody to your next funnel, but they may not understand some core concepts or things that they need to know before you can sell them that product or that service. What we do is we put up a bridge page ahead of that. So the first page is the squeeze page. They give you their email address, so you can follow-up with them. Then they're taking you to this bridge page. On the bridge page is basically a video where you're bridging the gap between what they understand and what they need to understand to buy the product or the service on your next funnel. So we bridge the gap here on this page, and then we have a link that pushes them into your next funnel. Now this is how the bridge page funnel works. It's really, really cool. If you want more information about the strategy behind how this could work for your business, make sure you check out the funnel hacker cookbook. I recommend if you're gonna buy a pre-built funnel inside of click funnels, first you look at the rating, and then you make sure you look at the stats. Don't buy anything that doesn't have stats. If you don't have conversion data, don't buy it. It's gonna be a waste of your money because basically it's just people that are building pages, hoping you're gonna throw some money their way. You're better off just building the thing yourself if it hasn't been tested. The marketplace is, it can be a good place, but it can cause you to spend a lot more money than you need to, especially since there's a lot of stuff in there that has not been tested. We're gonna go ahead here and just pick the first one that says Ripplin Bridge Funnel. And you just click, “Get funnel.” It'll create the funnel inside your account. And then we'll go in and we'll take a look at what that funnel looks like. There's a lead magnet, which can be something like an e-book, or a video series, or anything like that. And then you would have something else here, and it says lead magnet again, but I'm not sure if that's an error inside their account or what not. You never have two lead magnets, both one right after the other. So maybe this isn't a good example. It looks like what they did is they built their sales page on the opt-in form. This isn't actually the right type of form, but it looks like it's the right type of page. For the first page anyway, you're gonna have an opt-in page, so if we click review, like preview, let's see what that looks like. This is just a simple squeeze page, where you might have your logo. And then a headline here. Here I would create the best curiosity based headline I can dream of, where people can discover how to finally get that awesome thing. So this is just a format on what your headline, a generic headline, with average copywriting would look like. So if you were a network marketer, and you were trying to get a network marketer to opt-in, it might be download this free e-book on how to generate 10 new qualified leads in the next 24 hours without spending a dime. Here's the curiosity driven thing, how to generate 10 leads. Yeah, I want to know how to do that because I don't know how. Without spending a dime, right, would be the pain point. So, that would be a good headline. And then you collect their email address. Now if you go in here. You're gonna want to make sure that you connect up the email. You're gonna want to integrate it with your auto responder. Then you can come up here under settings and integrations, and you can integrate all of your auto responders, and things like that. So if you have AWeber and what not, you can hook that all up. And then select the button. You could select the button, select the background. You can add images to the background. It's a very, very powerful platform, so I'm gonna leave this page. Also, it's very similar to optimized press. It's very similar to visual composer, in the fact that there's a lot of elements and you could just adjust the elements, adjust the font, adjust the add or remove images, and create new sections. Once you have your opt-in page created, you're just going to create a variation. And what that allows you to do is create a duplicate from the lead magnet page, is what I always recommend. You're gonna create what's called a split test, or commonly referred to as an A/B test. And then when you start running traffic to this, you're gonna want to split the traffic. I mean, you can do whatever you want. I tend to split the traffic. And then, you're gonna want to change one variable on your split test. So it's very simple to create a split test, as you can see. And then you're just gonna go in, edit the page, the headline. The headline's a good place to start. Change the headline and start split testing. Now you're limited here inside one funnel on how much you can test, right. What I would recommend you do once you get a funnel that's performing decently, I would go ahead and go into settings. And I would clone the sales funnel, your bridge funnel. The way you do that is right here, under settings. And once you clone the funnel, it will create a new funnel for you. Just like this one. It just duplicates it. And then you can create two totally new pages. It'll be a new URL. And you can run traffic to two funnels, instead of one. 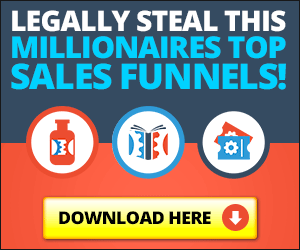 I like to create four or five funnels and run traffic to all of them. So that's the strategy we use when we advertise for clients because it's faster and success loves speed. So, that's what we tend to do. But the network marketing bridge funnel would be an opt-in, a lead magnet. And then on the second page, let's go over here, you're gonna have a sales page, not an opt-in page, so the little text underneath the title of the page actually says this is an opt-in page, but it's not. It's supposed to be a sales page. What I would do here is you can title it whatever you want. Nobody's gonna see that. And then the path is gonna be the URL slug on the back-end of the page URL. But you're gonna pick a sales page, and under sales page up here, you can click sales page, inside click funnels, and select the type of sales page that you want. They've already done that inside this first page, but you're gonna want to make sure … Well, let's just go over here and let's just pick one. You're gonna want to make sure … So here's the bridge. So notice this bridge is just a – hey watch our video and then go to the special page below. When you set the action for the button, you want to make sure that the button goes to either the next step in the funnel, which is right here, or to a URL. I always build the pages inside the funnel because you can measure stats in there. I'll select next step in the funnel. If you're gonna take them off click funnels to your own website, make sure you're doing data tracking on that website and you have conversion data tracking set up, because click funnels won't watch that. It's only gonna watch the conversions across its own pages. But you can easily have them go to the next step in the funnel, which is perfectly fine. And then you'll see in black text down here underneath the button, it says, goes to next page in funnel. So for your network marketing bridge funnel, this video right here, under step one, would close the gap. So if your first video, for example, was something along the lines of here's why you need to be involved in home business. And they submit their information and they're kicked to this page. This video needs to be congruent with your first page, whatever that offer is. So if that first offer was an e-book on how to generate more leads in your network marketing business, this video right here might be a video that explains more about maybe the 10 steps that they're gonna go through, or the 10 types of leads. Maybe it educates them on what a lead is, and then the 10 types of leads they can get, or however many sources of leads. And then encourages them with a CTA in the video to click and go to the next page, and get the offer. Maybe it's a one-time offer, or maybe it's a discounted offer that they can buy to get their hands on something. Maybe it's a course that's going to take that first freebie you gave them to the next level. Because you don't want to stop at just giving them something for free. If you have customers that are interested in paying, you want to give them that opportunity. So this video would sell them on that and then send them to the next page, which would be typically an order page. I'm a big fan personally of creating order pages that are sales pages slash order pages together, so they're like a combo page. Because anytime you add a page in the middle that doesn't give them the option to pay, you never have 100% conversions. When you go from one page to the next, you always have fallout, or leakage, or whatever you want to call it. So if you give them the chance to pay on the page with the explainer video, a lot of times you can eliminate the need for a bridge funnel. Sometimes it's needed, but a lot of times, especially if it's a simple concept, you can do without it. I kind of, what's the word, rescind my initial statement that this page is messed up here. That's it for how to set up a network marketing bridge funnel. This is Russell Brunson's platform click funnels. That's how to build a network marketing bridge funnel. If you found value in this video, make sure you share it on social media. If you did, give me a shout out on Facebook. Again, there's an affiliate link here for click funnels if you want to give their 14 day free trial a shot. More than happy, our staff and social web net, if I'm not available, is more than happy on giving you some guidance on this. We're even running a promo on building a free sales funnel for you. So if you're interested in having a free sales funnel built, make sure you click the link in this article that says free sales funnel. There should be one that pops up at the end of the video that you can go and check it out. And our staff will do that for you. Hope you found value. Have an epic day. Go crush it in your network marketing business. We'll see you on the next one.